This one is easy enough to remember, the name basically says it all. This movement is beautiful to watch and one of my favorites. A "Pirouette" is a French word meaning "to whirl about." and that is exactly what the horses do, they turn in place at the canter. This difficult maneuver is a three-beat action with a moment of suspension. Another one where the name describes the action, the extended trot is a stretched out trot complete with a lengthened and straightened foreleg. The purpose of this movement is to cover as much ground as possible. The passage is a very powerful trot. Unlike the extended trot, the passage has a moment of suspension. The stride is a little shorter and choppier, almost like a dance step. The way I remember the difference between the Passage and the Piaffe, both which start with "Ps" and I have trouble remembering which is which, is that in the Passage the horse is moving, just like a person passing through would be moving. I have no clue what Piaffe means, but it sounds and is spelled a bit like Pilaffe which is a food and food is stationary. So the Passage moves forward, while the Piaffe stays more or less in place. I know that logic is a bit of stretch, but I find it helpful to keep them straight. The piaffe is essentially a trot in place. It looks like the Passage but there is a lot less forward motion. Read The White Stallions of Lipizza, by Margrite Henry. 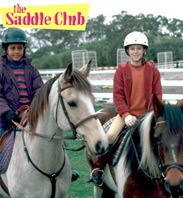 The book follows a young boy on his journey from Bakers son to a Riding Master at the Spanish Riding School in Vienna.